The cold weather outside isn't going to stop me from one of my favorite summertime activities, so I went down to a local pool and put on my new QuikFish Swimming Goggles and enjoyed a nice swim. Swimming is one of my favorite summer pastimes, but the chlorine from swimming pools really bothers my eyes. These goggles did a great job of protecting my eyes from the chlorine in the pool, and allowed me to enjoy my swim much more. I had no problems with water leaking into the goggles, or with them fogging up. They did exactly what I needed them to do, and when I was finished with them, my granddaughters took turns using the goggles so they could see better beneath the water. They love wearing these goggles, and they stayed in place with no leakage for them as well. 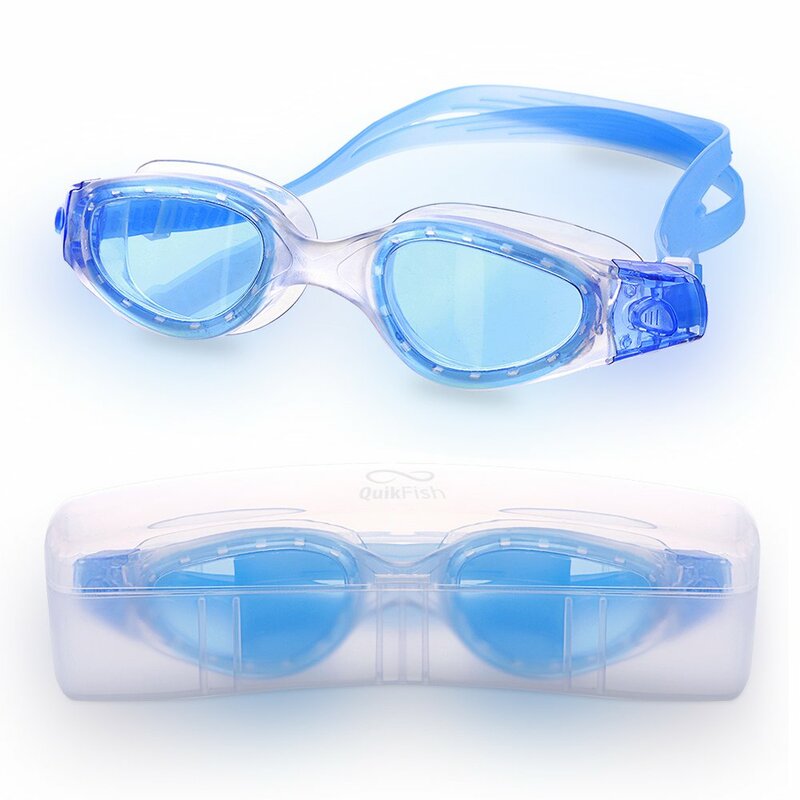 I recommend these swimming goggles for anyone who enjoys swimming and wants to protect their eyes and see well under water. Although I got this product at a discount or received a complimentary sample in exchange for my honest review, all thoughts and opinions on the products I review are always my own and have not been influenced by any discounts or samples which may have been provided to me for testing purposes. Although I got this product at a discount or received a complimentary sample in exchange for my honest review, all thoughts and opinions on the products I review are always my own and have not been influenced by any discounts or samples which may have been provided to me.